SMOK Spirals Plus comes with 24.5mm diameter and 4ml e-juice capacity. It offers you with more clouds and deep taste. 6 colors. 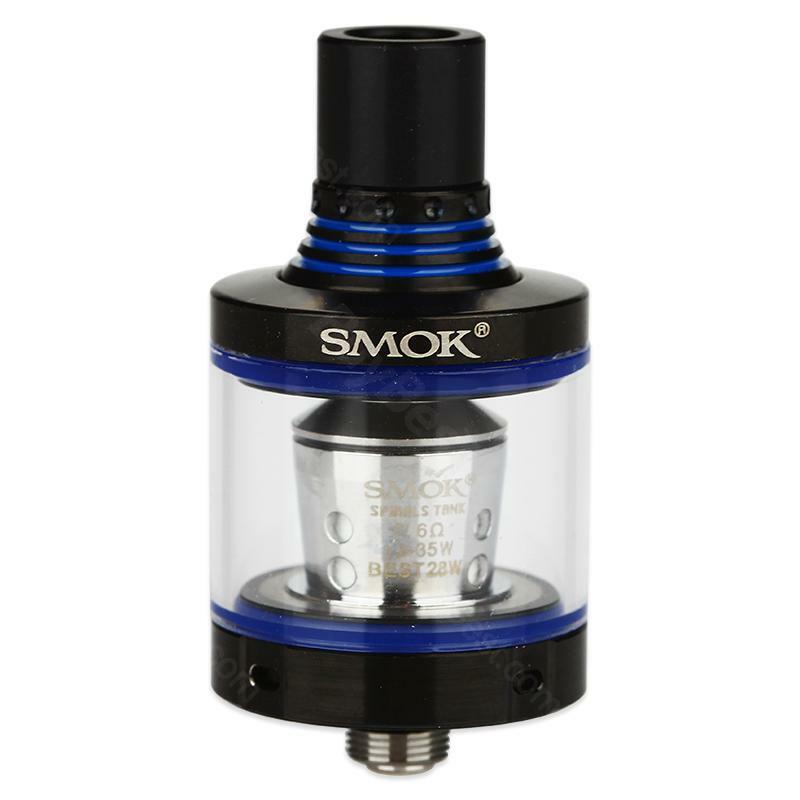 SMOK Spirals Plus is a bigger version of the Spirals tank being 24.5mm diameter with 4ml e-juice capacity. The brand new built-in coil heads use Japan imported cotton with a precise wicking hole. Joined by adjustable small sized air slots and an elongated drip tip, the tank has everything it needs to make the taste experience a whirlwind of flavors that offers even more clouds, available in 6 colors. • Quick Links: SMOK Spirals coils ； SMOK Spirals RBA coil. great product .easy to understand easy to assamble and easy to manage great item .never expected that good.and also dlivery was insane that was so fast. SMOK Spirals Plus Tank - 4ml is the best vaping tank for starters. Looks cool and the quality is really good. Sehr angenehmer Geschmack. Dampft gut und kratzt nicht. Im Vergleich zu einer richtigen Shisha qualmt so eine e shisha natürlich relativ wenig. Schnelle Lieferung! kann nur SMOK Spirals empfehlen.